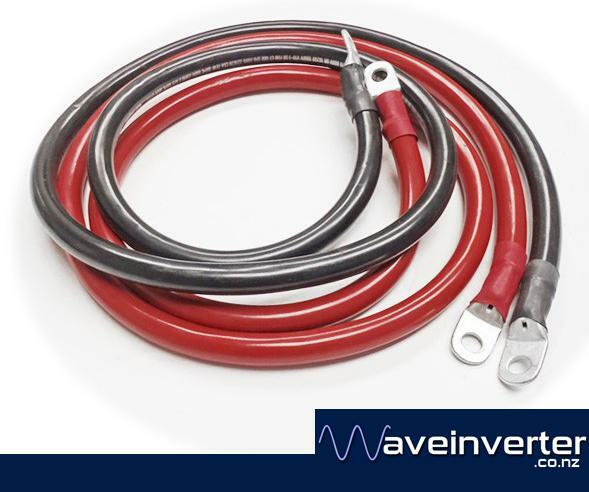 This is a pair of 160 AMP Cables 30cm long, one red one black, designed for transferring large amounts of DC current short distances. Amp rating based on 100% duty cycle for 5 minutes. Also rated at 230A at 60% duty cycle for 5 minutes. They are crimped and SOLDERED and heatshrinked with eye terminal connectors either end. SOLDERED connections are essential for low loss high reliability cables that will serve you for years with out degradation, corrosion or wear.